THE GOG BLOG by RORY SPEARS, Director of Content and Creation, Follow Rory on Twitter @GogBlogGuy, and on Facebook, Linkedin and now Instagram. 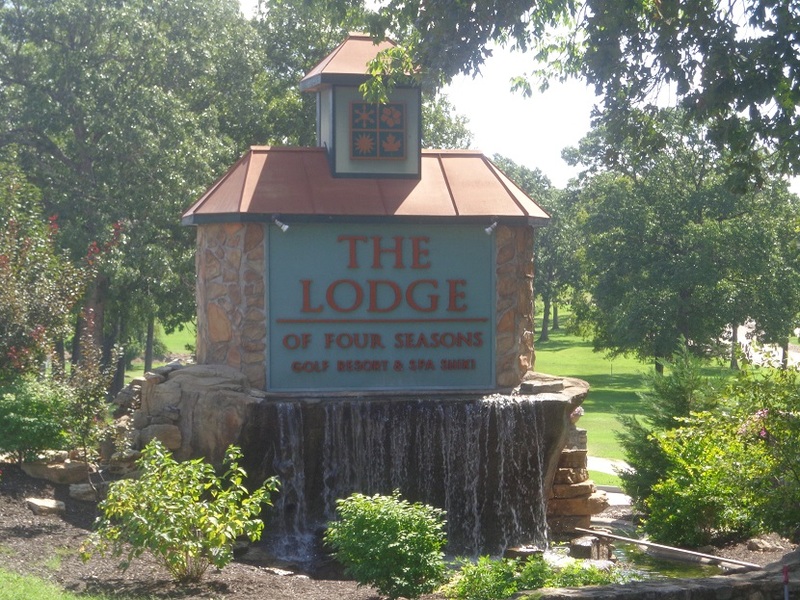 On the 3rd hole at The Club at Porto Cima, Lake Ozark Mo. THE SOGGY BMW CHAMPIONSHIP finally finished on Monday. Keegan Bradley finally won on the first playoff hole over the last BMW Championship winner at Cog Hill, Justin Rose. Both players put approach shots into the bleachers, but lived to tell about it. While Rose did not win the championship, his second place finish did elevate him to the #1 Player in the World. For Bradley it was his first win in 6 years on tour, and it for him it was long overdue. The field of 30 is now set for Atlanta next week, and it’s a good thing it is next week after the long soggy week everyone had in Philadelphia. (Meanwhile the weekend was dry in Chicago). Aronimink while wet, did look good on TV, however it got it’s fair share of shot from critics, complaining about the short yardage (7,200+), trees taken out in the recent renovation project, it’s bunker design being easy for pro’s and not so easy for the members. The pro’s were all way under par, and make the course look like a pitch and putt, the BMW won’t have it so easy next year on Medinah 3. 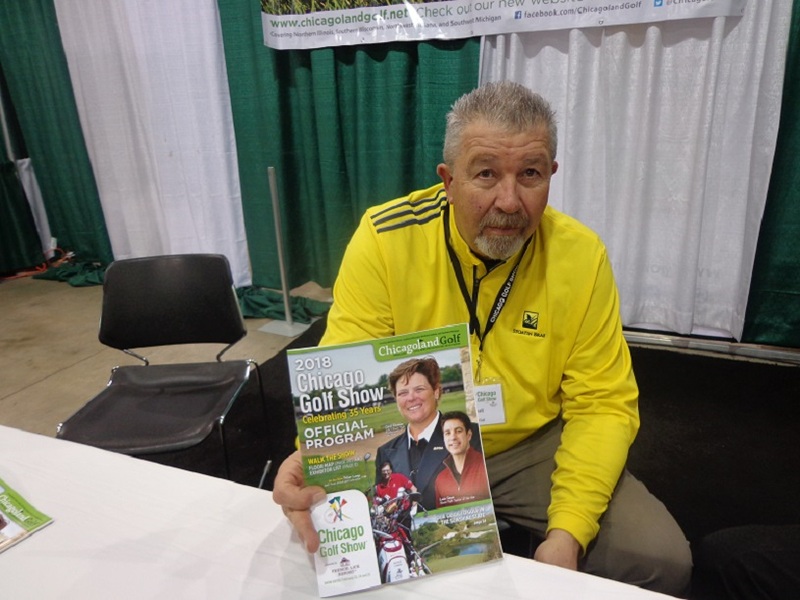 Chicagoland Golf publisher Val Russell invites everyone to pick up a copy of the 2018 season finale of Chicagoland Golf now available at your favorite course and golf retail stores everywhere. Speaking of BMW, the clock is ticking on their sponsorship deal with the tournament and the PGA Tour. 2019 at Medinah is it, and are they done after that ? The rumblings are out there that they are done, but nothing is final as of yet. BMW has been a great partner to the WGA, and has done a fantastic job in adding things like more scholarships when a player in the championship makes a hole-in-one. This past week Brooklyn Gabriel of Philadelphia, who caddied for three years at the Glen View Club, was awarded the $100,000 Evans Scholarship to attend Penn State University, as the recipient from the Hole-in-one that Jason Day made last year at Conway Farms in Lake Forest. If BMW does leave, it wouldn’t be the end of the world for the PGA Tour in Chicago. In fact one option the WGA and the PGA Tour have, would to find a Chicago based sponsor, that could keep the championship here in the Chicago area every year. Which Chicago golf fans would love to see. The window to do that comes at a great time. 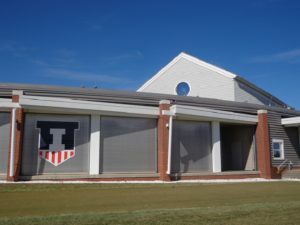 With both the PGA of America and the United States Golf Association (USGA) not having anything scheduled for the Chicago area on the calendar going forward. In fact while Chicago has had it’s share of tournaments the last two years, many of them are gone and not scheduled to return. The three year run of the Web.com Rust-Oleum Championship seems over, the NCAA Championship that was at Rich Harvest Farms in 2017 is gone, the Women’s KPMG-PGA Championship here the last two years is gone. The Western Amateur leaves town for two years before returning back to the Glenview Club in 2021. The Sr. Players Championship is gone after one year at Exmoor, and the U.S. Senior Women’s Open that had it’s debut at Chicago Golf Club is gone as well. One possibility would be to have the Chicago based playoff event rotate around town to as many as 4-6 courses in the area. Options include, Olympia Fields in the South burbs, and Conway Farms in the North Shore. Medinah and Butterfield in the Western Burbs, maybe Kemper Lakes in the Northwest area. If it ever gets built, and it likely won’t be, the Jackson Park project could enter the mix if it’s redone in grand fashion. Of course the other option new presented is to redo Jackson, with local architects, and designed for local players, at locally flavored green fee prices. Time will tell. 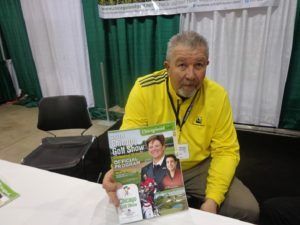 IN OUR FINAL ISSUE of Chicagoland Golf, I interviewed my Eye-Doctor Robert Mack about Cataracts and more, as eye vision issues pretty much ruined my summer on the golf course. Dr. Mack tells me that people with a lot of outdoor exposure over the years are Cataract candidates, if you smoke your really increase your chances of getting Cataracts. 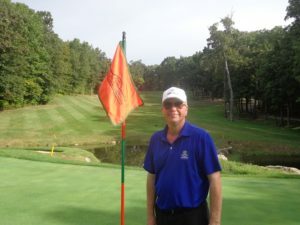 Dr.Mack said it was not uncommon in some of his younger patients (like early 40’s) that have Cataracts to have had a history of working as a caddie. The final issue is out, pick up a copy today at your favorite course or retail golf store. Coming again next month from October 15-17 at the French Lick Resort. See Frenchlick.com for details. GOLFERS ON GOLF RADIO is done for the year, and I’d like to thank all the listeners and people who supported the show, Ed Stevenson, Bill Berger and I look forward to returning next year, a little earlier on the calendar with the PGA Tour schedule changing around, and the BMW teeing off here in Chicago in Mid-August and not September. We hope to return in late March, again on Am 750 WNDZ-Chicago. SOME OTHER THINGS coming out of the BMW Championship. National reports claim Dustin Johnson and Five-year fiancee Paulina Gretzky might be over, engaged five years, what’s the point of that anyway. Jordan Spieth did not make the Fed Ex Cup finals in Atlanta, since he is 31st on the point list. As a result he faces fine and a suspension from the tour for not playing in enough events, (falling one short) and not adding an event to his schedule that he has not played in the last four years. It will be curious to see how that plays out. Past BMW Champion Billy Horschel throws out a first pitch at the Cubs-Brewers game on Wednesday night at Wrigley. OUT THOUGHTS are with everyone in the Carolina’s and along the east coast, with the incoming hurricane. I will try and keep everyone up to speed on what happened to any golf courses that are impacted, as we learn details.